As a former personal trainer, professional dancer and yoga instructor I’ve always been incredibly active. After having kids I had a hard time adjusting to the change in my workouts. I was used to working out all day every day – which just wasn’t possible with one, let alone two kids in tow. I gained 60 pounds (despite staying active with daily workouts and eating healthy) during my first pregnancy and fought tooth and nail to get my body back – which took almost 2 years. When I had my second, I stayed much more active during my pregnancy and gained about 45 lbs, but struggled even more to get back into shape. With two kids to chase after (one of which HATED the stroller – the newborn), it was much harder to get moving. Then to add insult to injury, about 5 months postpartum I was in a car accident that left me unable to lift anything or do any exercise that involved impact. Goodbye running, goodbye yoga (down dog and planks were absolutely out of the question) and good-bye strength training. At eight months, I decided to wean in hopes that I could get a jump on weight loss by being stricter with my diet to make up for the decrease in exercise. But, sometimes what we have planned isn’t exactly what happens. As I was weaning, I got pregnant. It was a bit of a shock. I quickly realized, since I still hadn’t lost all the weight from my second pregnancy, if I gained how I gained in my previous pregnancies, I would be well over 200 pounds after delivery – something I was (and still am) decidedly NOT ok with. I knew I needed to approach things differently to try to stay as fit and healthy as possible. Now, almost through my second trimester, I’ve been able to find a nice balance of activity and healthy eating that is both supporting my pregnancy but also stalling too much weight gain. I managed to gain only 2 pounds in the first 18 weeks followed by a burst of weight gain in my second trimester totaling out at 13 pounds so far with about 12 weeks to go. Diet-wise, I’ve been focusing on eating more instead of eating less. Eating more vegetables, fruits, protein and water. Whenever I’m hungry or needing fuel I grab fresh veggies and fruit or plain greek yogurt first. Having struggled with eating disorders for years, shifting to a mentality of choosing wisely instead of restricting or removing foods and calories has helped me stay healthy and focused both mentally and physically. Adding in 30 minute strength training and cardio sessions daily have helped keep swelling down and keep my mood up. I feel so much better when I get in a morning sweat session. But I think the biggest change has been adding back in walking. I aim to get 10,000 steps daily, and using my new BOB Revolution FLEX Duallie has been monumental in doing so. The stroller is a behemoth. It is large…but it pushes like a dream. I resumed all the walking I did after my first was born and was scared to do after my second for fear he would scream the entire time. Now that he is older, he loves stroller walks and I take full advantage. We walk to the grocery store, the library, the park, everywhere basically. Until I got a legit double stroller, I didn’t realize how I was inadvertently less active than I had been before my second was born. Pushing the single stroller with my oldest in a ride on board was less than comfortable, so I think I started to avoid our long walks. Not to mention the little one HATED the stroller, so we just never got in a stroller walking groove. Looking back, I can’t believe I didn’t think I needed a double stroller with a baby and a 4-year-old. Having the Bob Duallie has made it so easy to be more active with two in tow. 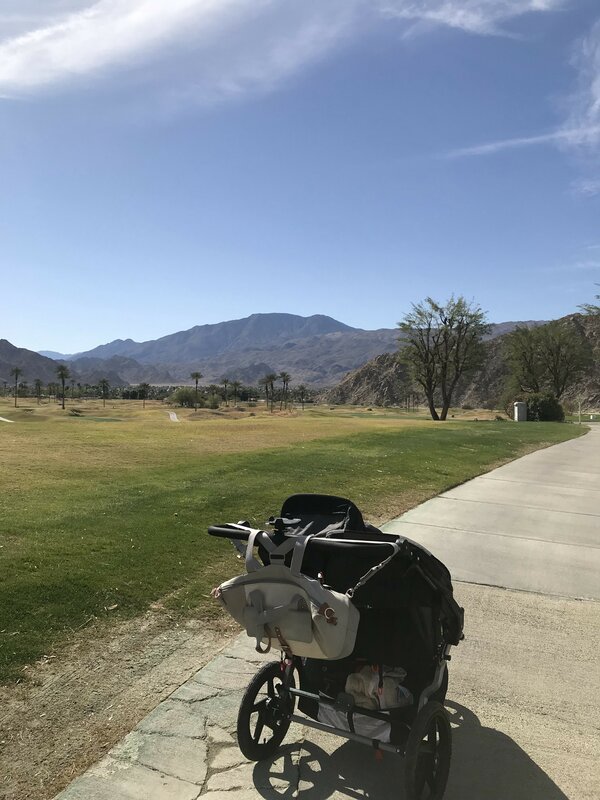 And while it’s not the perfect stroller for throwing in the car and running errands, it is perfect for active walks around our neighborhood, trips to the park, and long days of walking at places like the zoo. 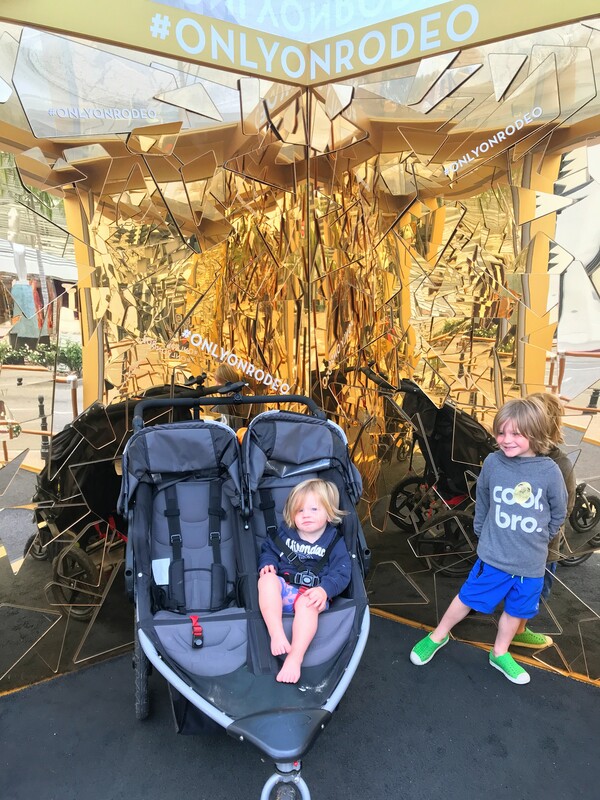 If you have two kiddos, but one is ‘older’ and you think you won’t need a double stroller…you may be right…you probably don’t need it for quick errands, BUT if you are active and like to do long walks or walk to the store, park, etc. then you might want to consider getting a double BOB because you won’t regret it. I didn’t think it was necessary AT ALL. But after getting it, I realized how much more active I would have been had I gotten it from the beginning.